Havdalah Candle Design in Multi Colors. You are here: Home page > Havdalah Candle Design in Multi Colors. This elegant base candle is convenient and beautiful. 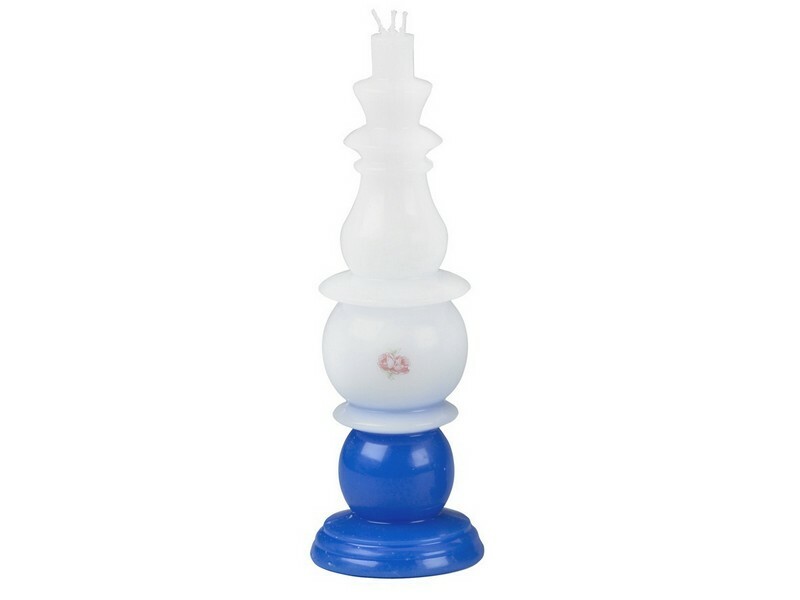 This Havdalah candle has a flat base which allows it to be placed on a flat surface without the need to be held. The artistic and classic detailed taste of the candle will enhance the Havdalah ceremony. According to the Jewish custom, Havdalah is recited at the end of Shabbat and the new week is ushered in. A candle with more than one wick is used during the Havdalah ceremony. This candle has three separate wicks. While the upper section of the candle is a white color, the base comes in a choice of blue, purple, white and natural colors.